It has been a while since I posted any of the Do Good Stitches quilt blocks I have been making. Every month I make blocks as part of this charity Bee and I love it. I look forward to the first of the month when the new pattern is put up on our Flickr Group and I always eagerly make the blocks. I love being challenged to make things that I would not usually make in colour schemes I may not necessarily think to put together. Twice a year I get to be the Queen and set the block and in June I choose this block and colour scheme for my month…. I love how the yellow strings make a grid pattern and the stars just pop. 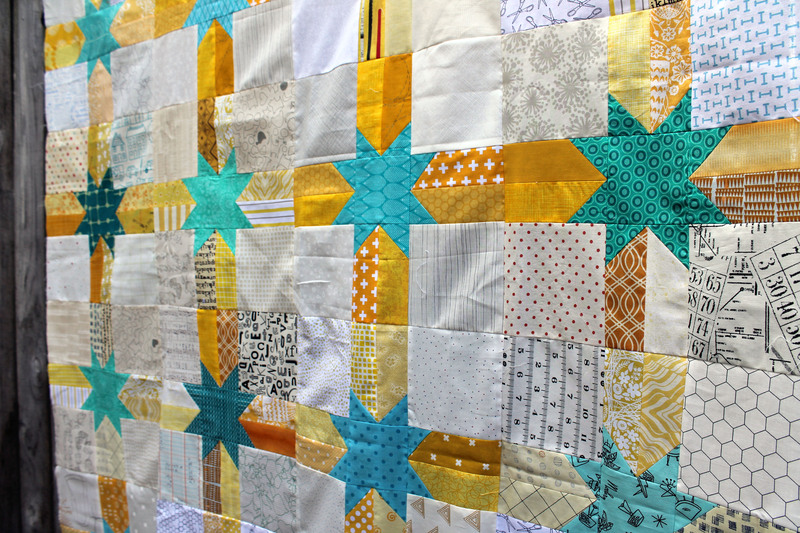 Each of my fellow Do Good Bee members made two blocks, so there is so much variety in the stars, which I LOVE. 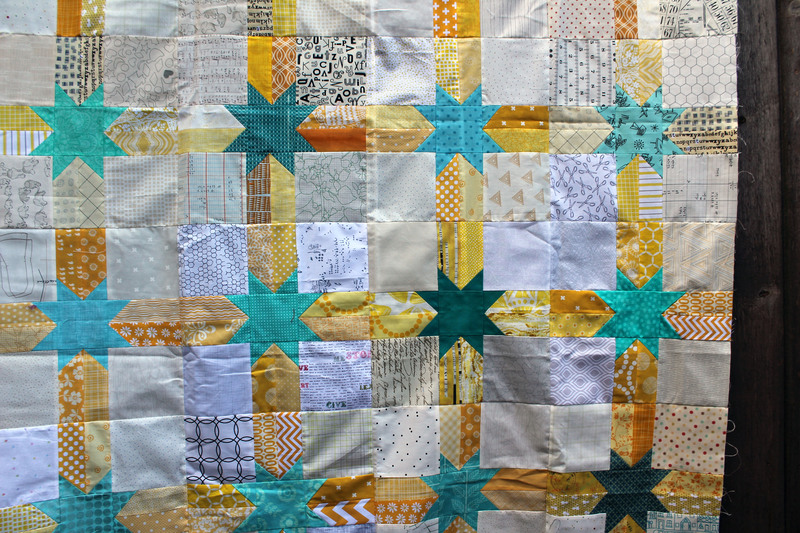 One of my favorite bits about being Queen Bee is getting to see all the blocks as they come in and ohh and ahh over the fabric used (I may have a bit of stash envy!). I have not seen this fabric before and am now obsessed with getting my hands on some. It is so fabulous. 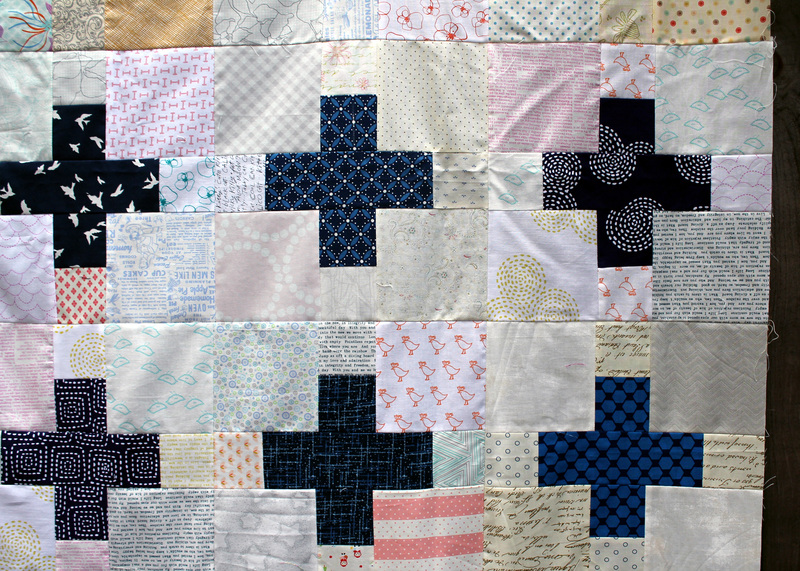 This quilt top is now awaiting quilting and binding and then it will go out into the world to Do Good! I am Queen again in November and I have already started planning what block I am going to set. 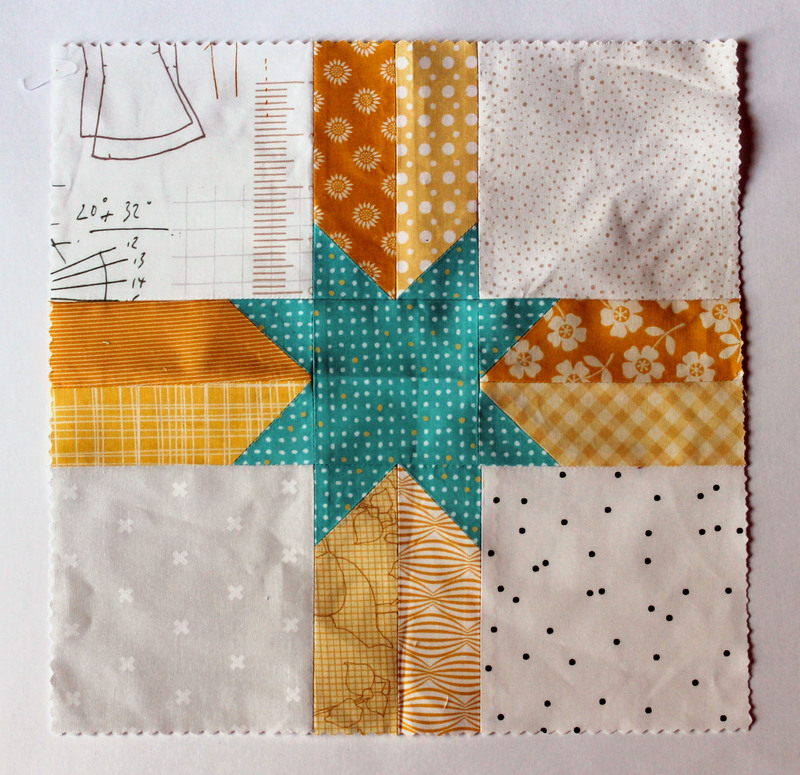 After two weeks of teaching quilting to kids, I am back to posting…starting with a special quilt block. 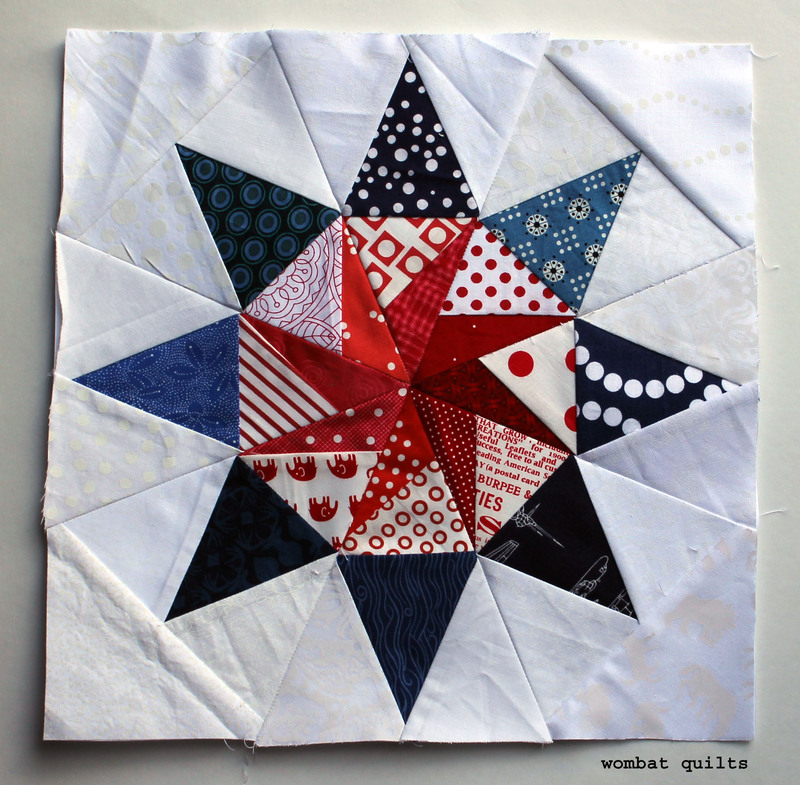 Last week my Do.Good.Stitches bee was set the challenge for this month to make some red/white/blue spinning blocks. 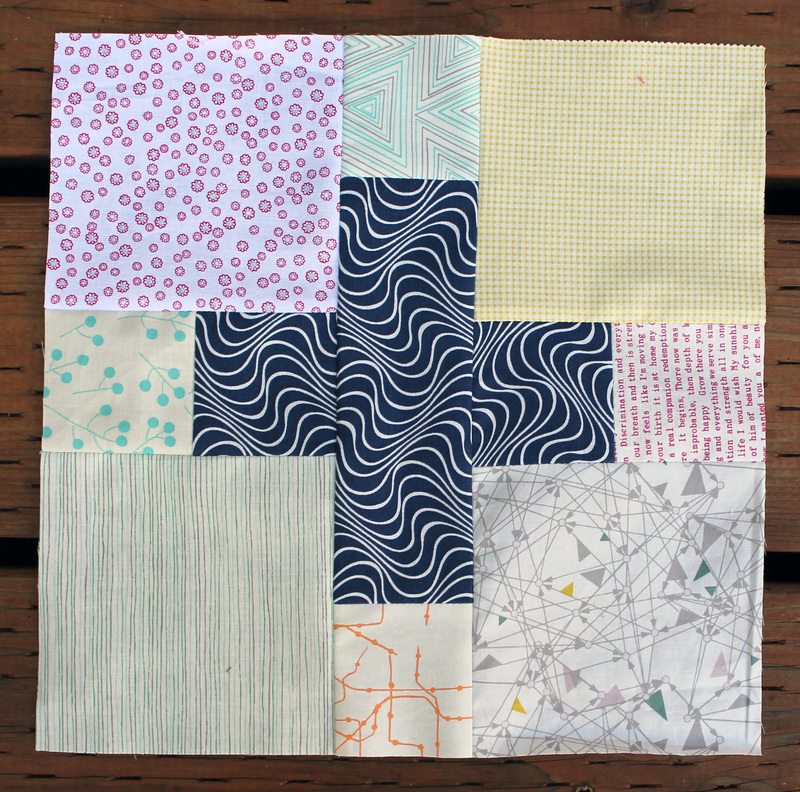 So I designed this block with the challenge in mind…and over the next couple of weeks I will share the pattern for the blocks I have made for this challenge. The structure for this pattern was a little different from how I usually do my stars and the pattern needs to be sewn in sections. I must admit I did have to do some unpicking because I sewed one set of my pieces together back to front. So I am not sure if any of you noticed…but I have been very slack in my posting lately. 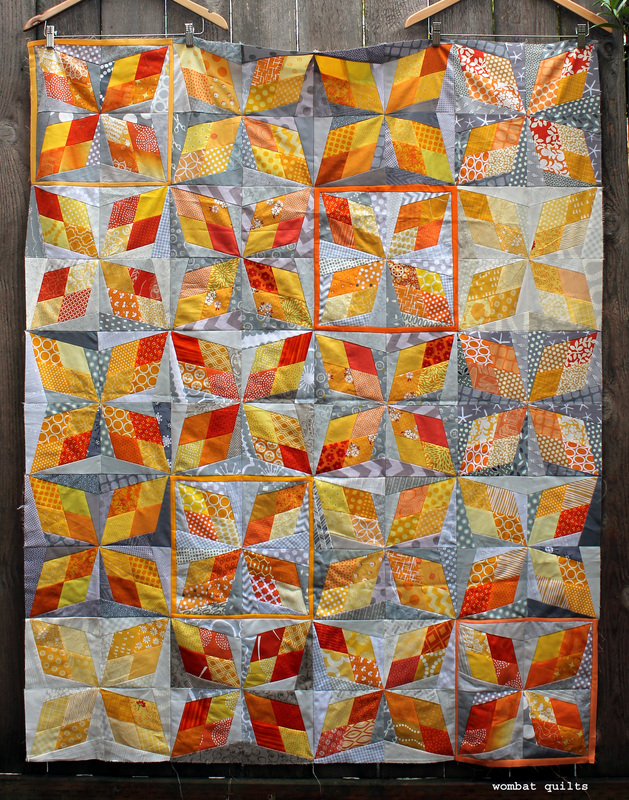 I have managed to keep my Paper Piecing Monday posts happening but everything else has just fallen by the wayside. Bad bad me. Last week I was teaching all week and found that my creativity was completely absent. I have been a little out of kilter for a couple of months now and I am slowly getting my mojo back….and here is the proof. Yesterday I had a blast using the new Bernina long arm machine at my LQS (local quilt store), Modern Domestic. Up until yesterday I had never done a whole quilt by myself, and I was so excited by how much fun I had. I did an all over squares and boxes pattern which seem to come very naturally to me (that means I did not quilt myself into a corner once!). I did a simple solid back and a wide navy binding to finish it all off. 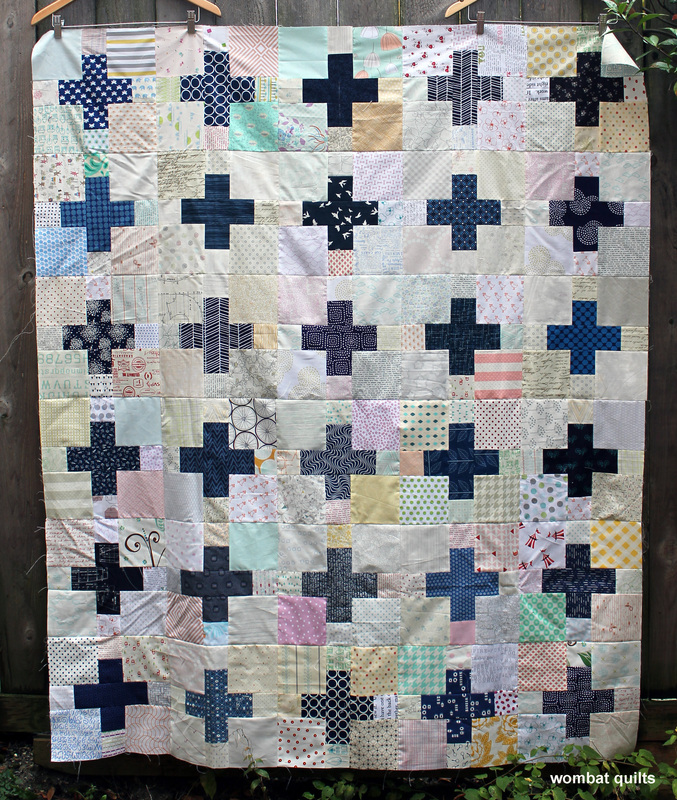 In a couple of weeks I am going to go back and give it all another go with one of my other unfinished Do Good quilt tops. I may branch out and try something loopy! I have a long way to go before I master this long arm free motion thingy but I am pleased with the results of my first step. 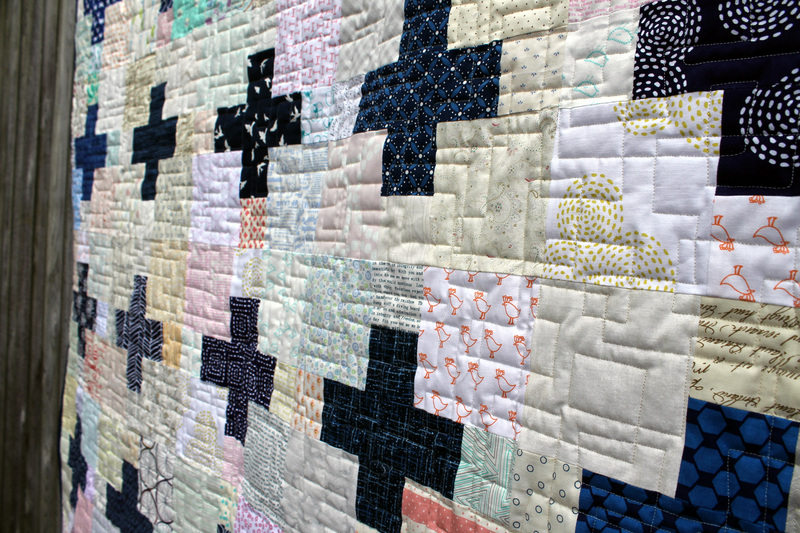 I must admit I am now hankering for some straight stitch quilting on my home machine, so I may baste up some more quilts this weekend. I had forgotten how satisfying it is to actually finish something up. 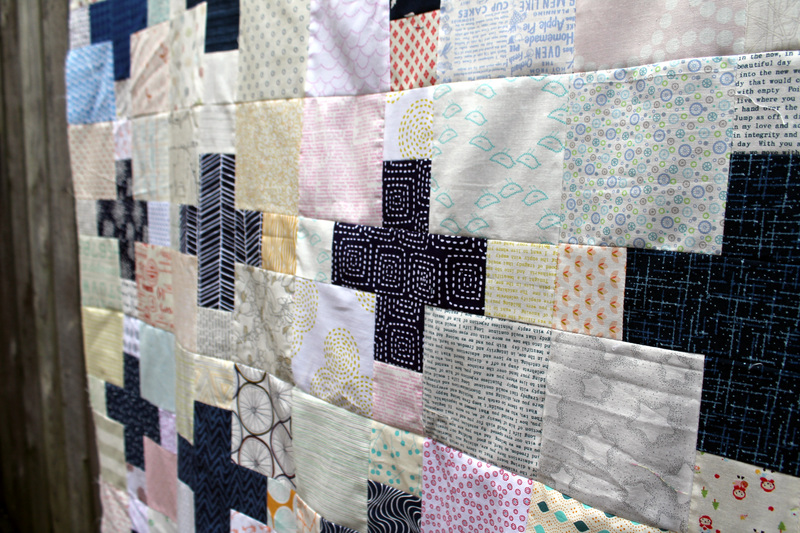 I am plowing my way through my “must do before we leave” list… and this week it meant finishing up last month’s Do Good Stitches quilt top. 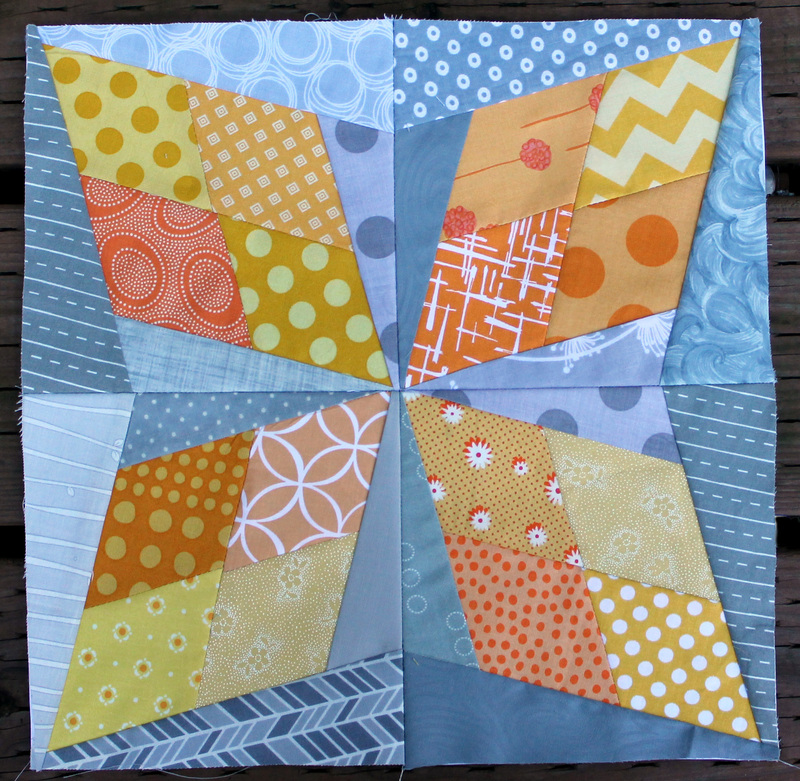 I was Queen Bee and set a simple, but fabulous cross block. I used the dimension from Wooden Spoon’s flickr photo https://www.flickr.com/photos/wooden_spoon/8584301543/ and choose a navy blue cross on a scrappy low volume background. 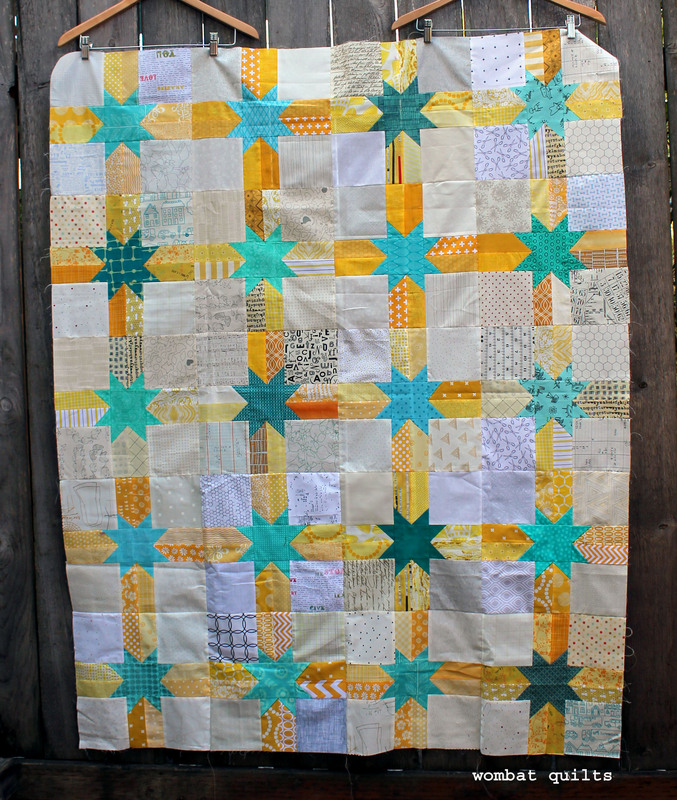 The finished quilt top is scrap-tastic. I love how the background has an amazing array of colours just subtly hanging out. 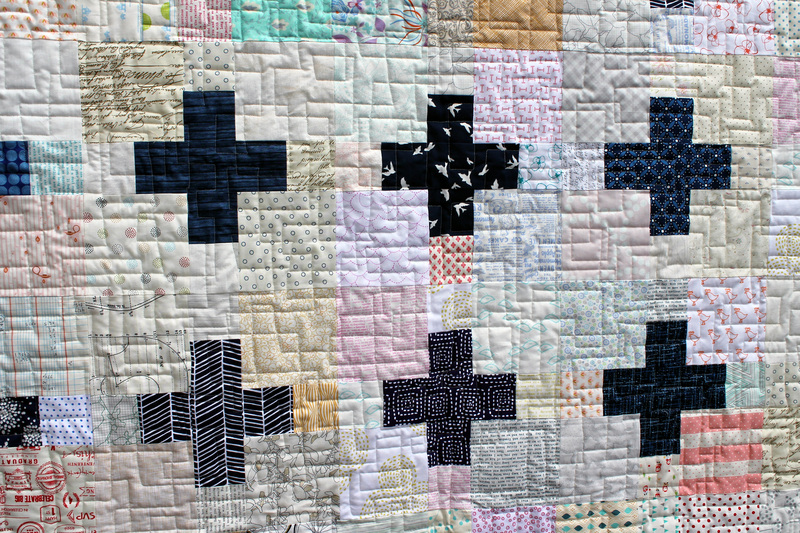 Because the cross is so dark it was easy to get great contrast with a variety of different colours and fabrics. We also managed to sneak in some great novelty prints too…just for fun. 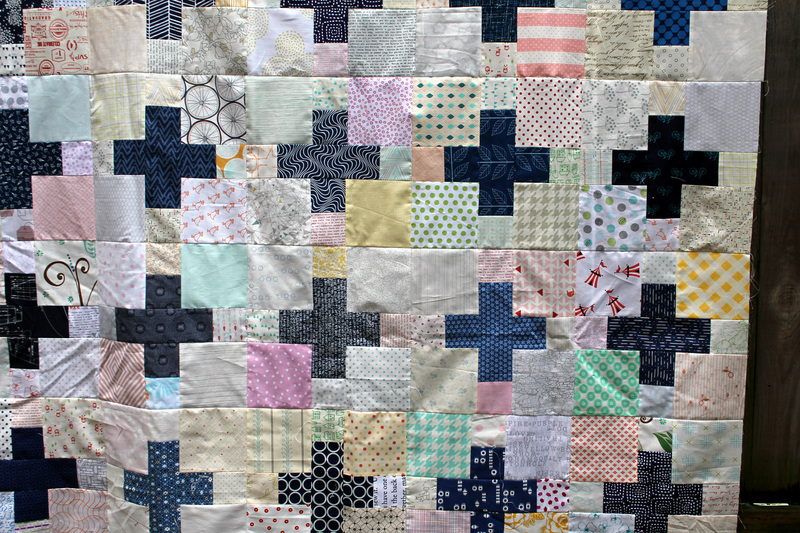 I trimmed all the blocks to 11 1/2 inches unfinished, and possibly got a little carried away in making my samples. I made 12 blocks so easily, so that when they were added to my fellow Hope Circle members blocks we had enough blocks to 5 across and 6 down…instead of the usual 4 across by 5 down. The top is in need of a some extra starch and a good press but it will all have to wait till next month to be completed! December is going to be crazy, I can tell. 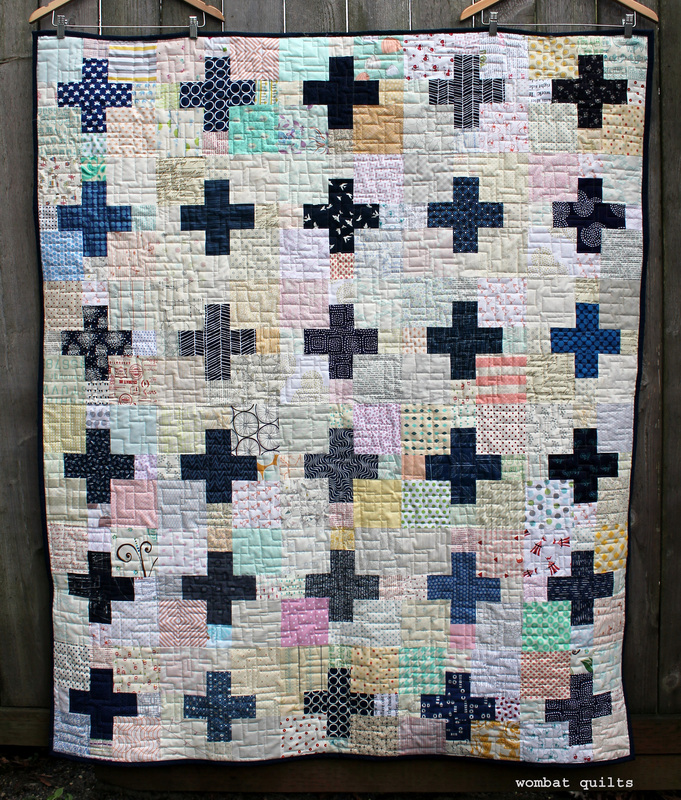 This week I managed to finish up one of the Do Good Stitches quilt tops I have in progress. 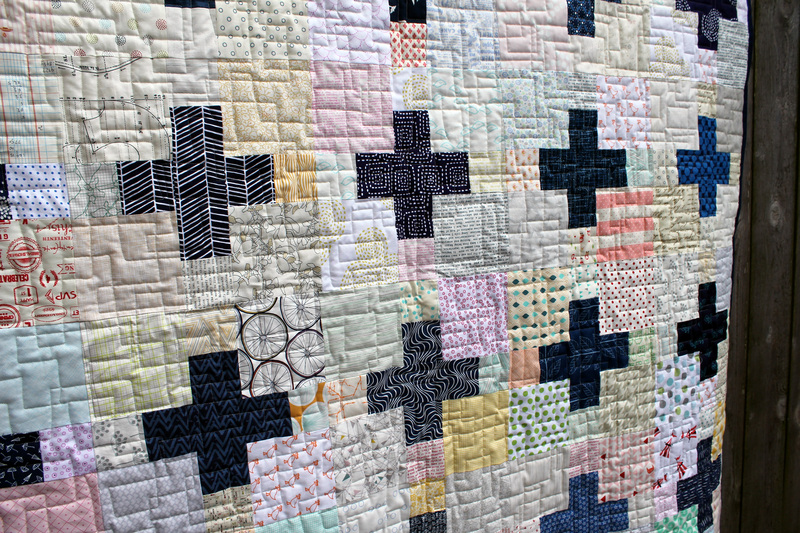 This quilt started with this wonderful block…. I loved the subtle variations in colour that were added by other members. 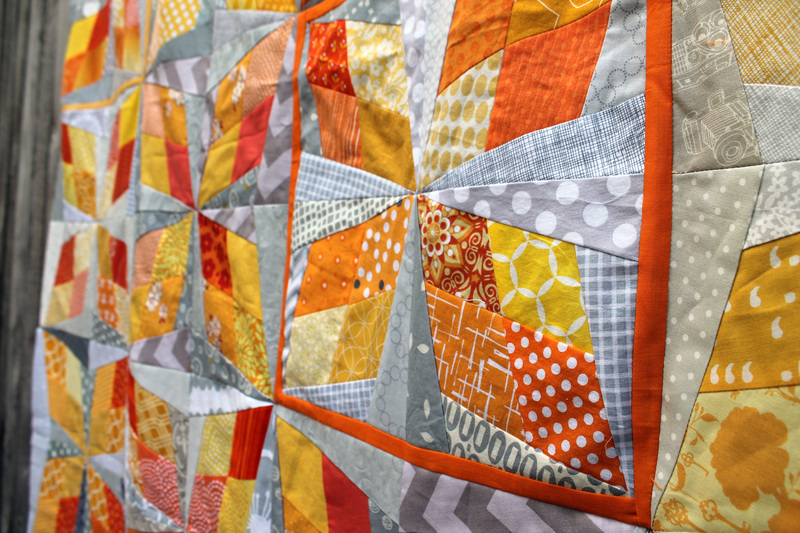 The deep orange adds such a pop and the soft quiet yellow gives the eye a resting place. You may also have noticed some fun little sashing on the top. I love this touch, but it was not planned. 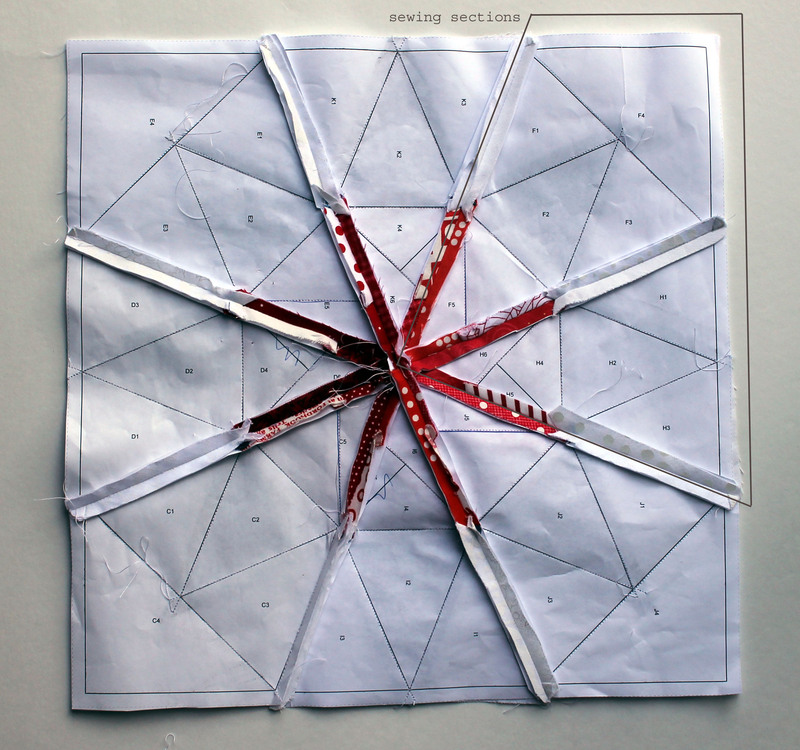 When I set this block, I forgot that several of our Circle’s member had not done paper piecing before… and I had forgotten to give instructions on downloading the paper piecing pattern. You see if you print a PDF straight from the website it prints out slightly smaller than standard. You need to download the PDF to your desktop/computer and then print from the download to get accurate sizing. Also if you select the print dialogue box “print to fit” when you send the document to print it will also print out slightly smaller than needed. In the end the best thing to do is measure your pattern before you start sewing it, to make sure it is the correct size. 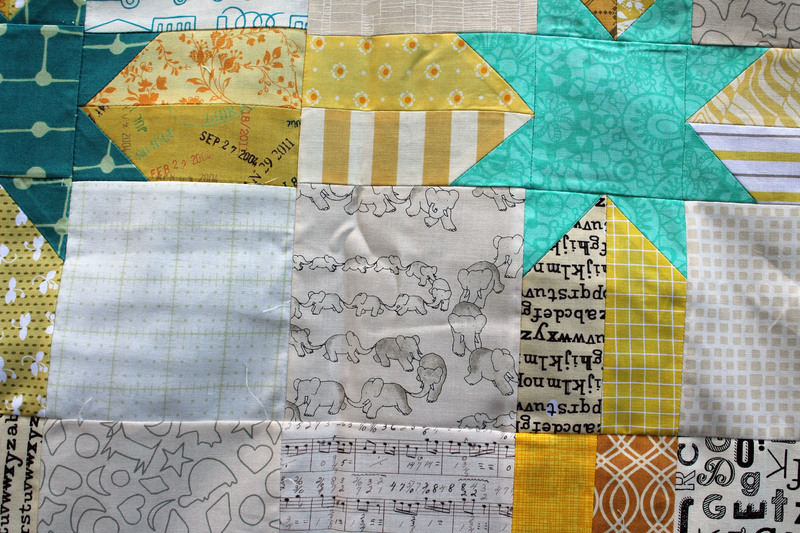 The four blocks that were slightly under size got a special border which added a wonderful pop of colour to the top. So many times in my creative life I find little mistakes or hiccups make me think more creatively…make me rethink my original vision…force me to think outside the box. The end results have always be so much better than my original plan. This has been true with my painting, my film making and my quilting. 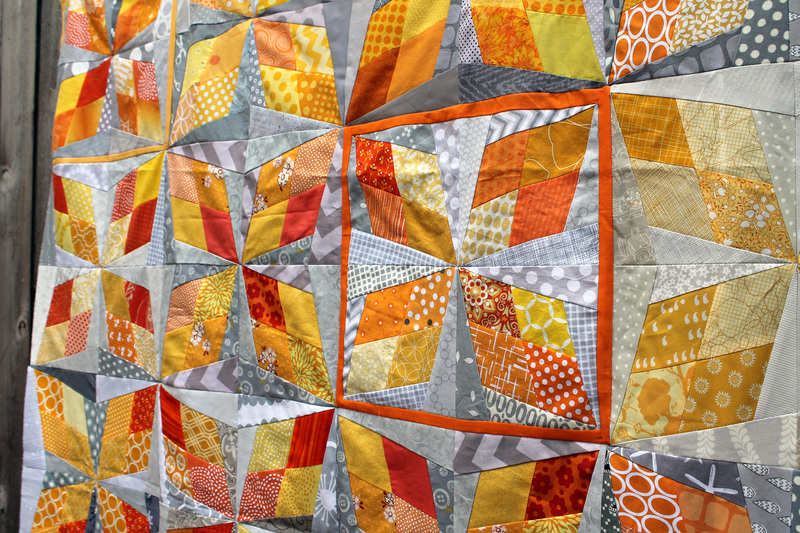 I am also linking up with Finish It up Friday over at Crazy Mom Quilts.